You cannot see, feel, smell, or taste radon. 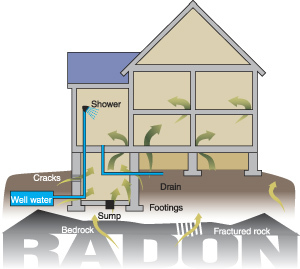 Testing your home is the only way to know if you and your family are at risk from radon. EPA and the Surgeon General recommend testing for radon in all rooms below the third floor. We use state-of-the-art continuous Radon monitors for all testing.